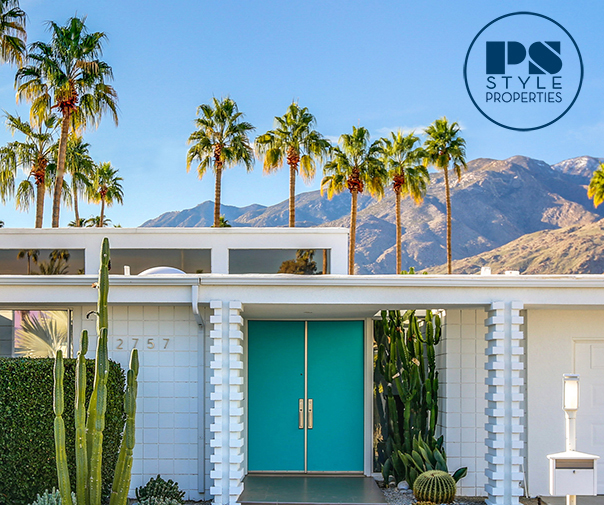 This mid-century beauty in the Vista Las Palmas neighborhood of Palm Springs was designed by architect Charles DuBois and built by the Alexander Construction Company in 1963. 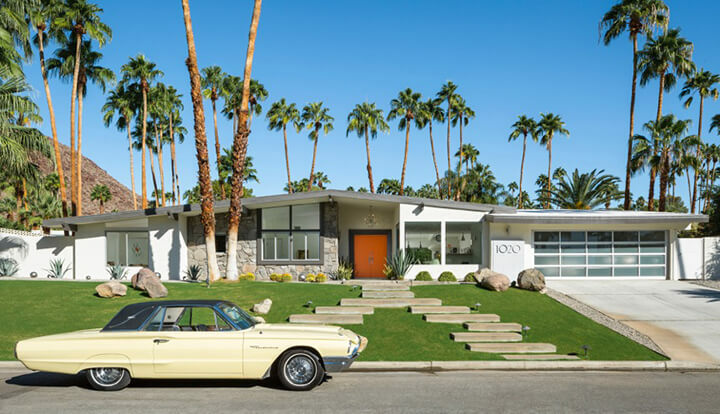 The four bedroom, three bath home has been meticulously renovated for the 21st century by H3K Design, while thoughtfully maintaining its unique vintage Palm Springs style. The front entry features a custom reflecting water feature and quintessential orange double-hung doors with nickel-plated escutcheons. The home has a spacious open living area offers a bright background for artworks by Eric Nash, Al Jackson and Steve Shigley, collected vintage furniture, and the original stone fireplace and hearth with a built-in picture window. The large chef’s kitchen with custom island and bar is the heart of the home and perfect for entertaining. The home features stunning pool and backyard views from the dining area and kitchen. The bright and expanded master bedroom is a private retreat with views of the backyard. The master bathroom offers a spa-like experience with freestanding bathtub, sputnik chandelier and exterior breeze block screen. The large backyard with fire pit, sparkling pool and spa has incredible mountain views. The custom steel pergola offers an outdoor dining and entertaining area. The fire pit outside the master bedroom is a warm place to enjoy the view on cool evenings. The perfect Palm Springs backyard: palm trees, mountain views and a beautiful pool. Love this home? It could be yours! It is currently listed with the Paul Kaplan Group – more information is available here!